BERU has become the pacemaker in the sector. With a view to the ever stricter emission reduction regulations, continuous optimisation is important for the oil and gas burner industries. BERU is an important partner for the development of future emission optimised ignition systems and supplies components to the manufacturers of leading makes. Electrodes: as single electrodes, double electrodes or blocks of electrodes for single or multiple pole ignition, and for flame monitoring using ionisation electrodes. BERU igniters comprise sophisticated control electronics and a high-quality ignition coil which transforms standard voltage to 15–20 kV ignition voltage. The impact and temperature resistant plastic housing is cast with the electronics and, if requested, can be manufactured in customer-specific housing molds. 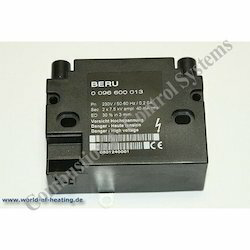 All BERU igniters for oil and gas burners are EMC optimized. They are tailored precisely to their intended use: for one and two pole operation, for low or high combustion capacities. BERU is also able to manufacture igniters for continuous operation and different voltage ranges, e.g. 24 V DC, 110 V AC and 230 V AC. The company was founded in 1974 for the manufacture of ignition transformers for oil and gas burners. The company uses the latest technology for high voltage equipment with top quality insulation properties. Transformers for intermittent and continuous duty are available for various burner applications. Two pole transformers, TRE & TRS series up to 33 percent ED. Single pole transformers, P versions up to 33 percent ED. Two pole and Single pole transformers with 100 percent ED. 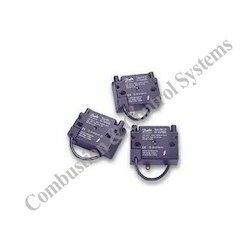 4 wire transformers for simultaneous ignition and flame monitoring. Transformers with 110 Volts, primary supply. High temperature silicone ignition cables up to 180 deg. C in 7 mm and 5 mm diameters. Cofi ignition transformer trk2-25p 1x10000v. Cofi ignition transformer tre820 be 2x4 kv. Cofi ignition transformer tre820 pb 1x8 kv. 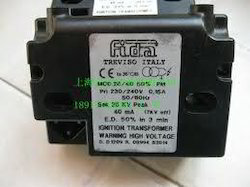 Cofi ignition transformer tre820 pisob 1x8 kv. Cofi ignition transformer trs820 p 1x8 kv. Cofi ignition transformer trs820 ae 2x4 kv. Cofi ignition transformer trs830 p 1x8 kv. Cofi ignition transformer trs1020 be 2x5 kv. 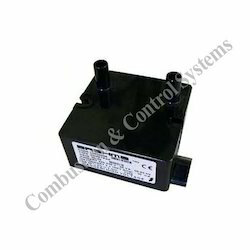 We offer cofi ignition transformers for the following burners:arco, baltur, bentone, cuenod, ecoflam, fbr, dunphy, lamborghini, narayan, nuway, oilon, pilot burner, riello, sookook, saacke, unigas, olympia. Brahma make ignition transformers for oil & gas burners/boilers etc. 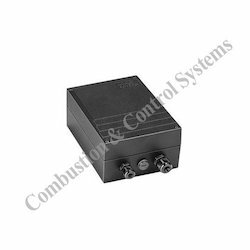 Krom schroder Ignition transformers TZI and TGI are designed for high-voltage spark ignition of gas burners and gas-ignited or directly ignited oil burners. The ignition transformers can also be used on burners with single-electrode operation; the ignition current and ionization current flow over a common electrode. Ignition transformer TZI fulfills the requirements for enclosure IP 20. It is suitable for installation in a control cabinet. Ignition transformer TGI in its die-cast aluminum housing meets the requirements for enclosure IP 65. It is suitable for on-site mounting near the burner. Our organization is involved in manufacturing and supplying a wide range of ignition transformers which includes Danfoss Ignition Transformer Model. These are made using supreme quality raw materials like high grade molted metals with the help of advanced technology, which ensures their durability, high performance and corrosion resistance. Our aggressive pricing and tamper proof packaging makes our product one of the most sort after in the market. Sec. 2 X 6.5 KV, 40 mA, 25% ID In 3 min. Sec. 1 X 12 KV, 40 mA, 25% ID In 3 min. Sec. 2 X 6 KV, 20 mA, 100% ID In 3 min. 052F4046 Type: EBI4 1P S, Pri. 230V, 50/60HzSec. 1 x 11 kV, 50mA, 33% ED in 3 min. 2 x Ign. electrodes plugs. Combustion & control systems, Mumbai offer Honeywell ET401/ET402 ignition transformer for electronic frequency oscillation high voltage ignition transformer for alternative Satronic ZT930 and ZT931. Honeywell Ignition power and ZT series is exactly the same, more excellent performance. Honeywell ignition transformer ET 401 with a high voltage output terminal, apply to the gas burners. 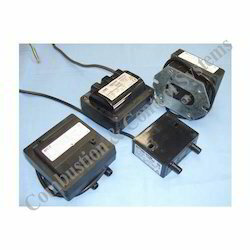 Honeywell ignition unit ET 402 with two high-voltage output terminal, apply to gas or oil burner. 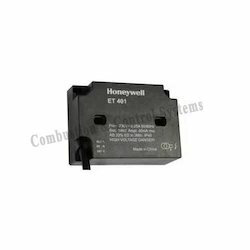 Honeywell ignition transformers Technical parameters Model ET 401, ET 402 input power 230 V ~~ the (-15 +10%), 0.25 A, 50/60 Hz Ignition output voltage of 14 kV amp> 2 x 7 kV amp ignition output current <40 mA rms ignition Ø1mm pin of the output frequency of 20 kHz high-voltage output in the form 2 x Ø1mm pins within 3 minutes ignition time ED 33% ignition electrode spacing of 3-5 mm ignition cable interface ignition cable into the type of plastic locking card the first level of protection IP40 operating environment temperature -15 ° C ... +60 ° C Weight (g) 290 300. 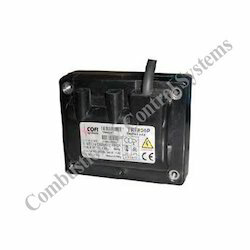 Combustion & control systems, Mumbai offering Siemens Ignition Transformer is used in different industrial applications. Transformers are known for their features accurate dimension, rust free, efficient functionality and long service life. These transformers are safe to use and durable. These transformers are available to our clients at comprehensive prices. 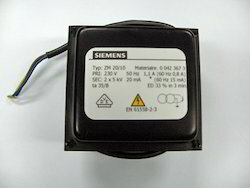 We have following Siemens Ignition Transformer in stock. Oil burner controls for use with burners of any capacity in intermittent operation. For safety reasons, at least one controlled shutdown must take place every 24 hours. Combustion & control systems, mumbai offering ignition transformer like world famous brands danfoss, fida, cofi, brahma, siemens, beru, etc. F.I.D.A. S.r.l. produces high-tension ignition transformers from over 50 years. The main applications are: gas and oil burners, hydro cleaners and electric mosquito-killer. The whole range of our products is conforming to the European Low Tension directive (mark CE) and it is built according to the norm of product EN 61558. The models of wider diffusion are certified from VDE and UL. 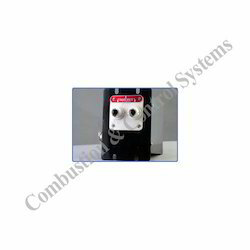 Combustion & Control Systems, Mumbai offering Quick and safe ignition of the oil/air mixture in a burner contributes to a more environmentally sound start of the burner. High-effective ignition has been obtained with a minimum of energy consumption and a minimum of resource depletion. 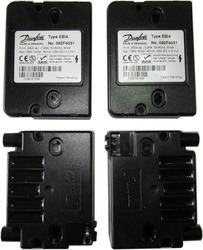 Danfoss Ignition unit EBI is produced in accordance with EN 55014 (Emission) and EN 50082-1 (Immunity). Danfoss Ignition Transfomrer 2-pole with earth connected centre for oil burners where there is a need for extra security against shock hazard. The compact size of the EBI facilitates placing on the burner and for the service market there is a service kit which makes it possible to replace the large traditional ignition transformers. Danfoss ignition units ensure optimum starting conditions for the burner. 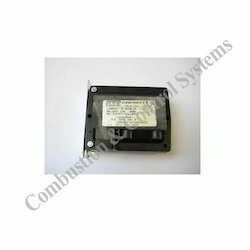 Looking for Ignition Transformers ?